Is your teacher a wizard who casts amazing spells in lessons? If not, don’t be sad. Here comes Mr Majeika! 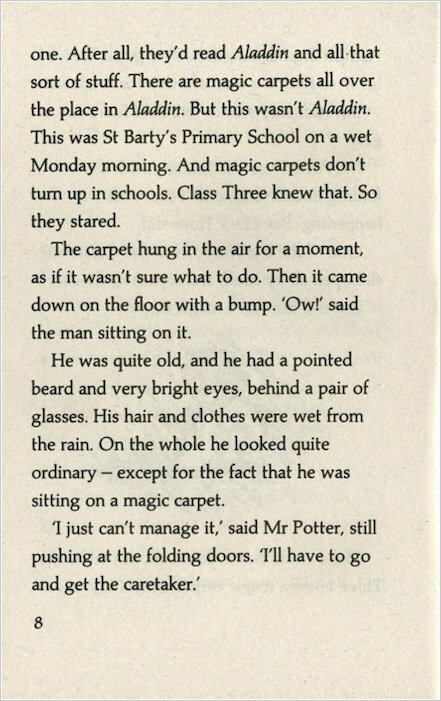 As a rule, magic carpets don’t appear in schools. 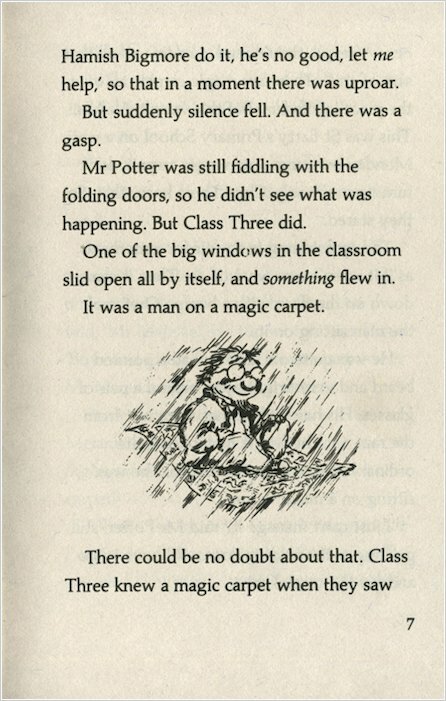 But rules are made to be broken – and that’s exactly what happens when Class Three’s new teacher flies in through the classroom window and lands on the floor with a bump! 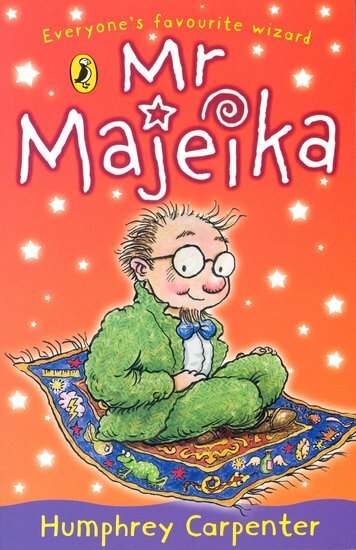 Mr Majeika can behave just like any ordinary teacher if he wants to. 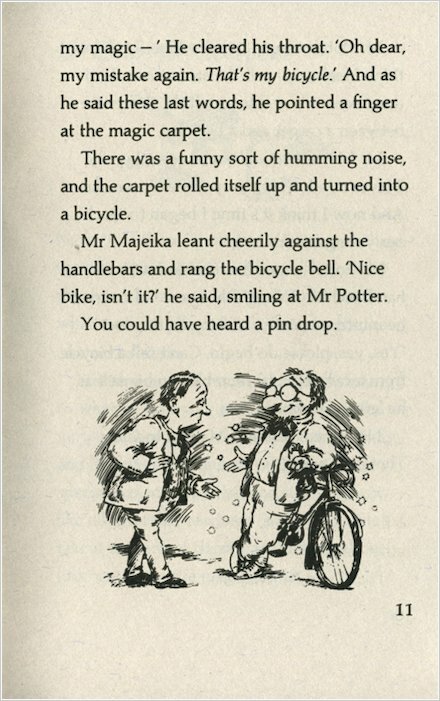 But most of the time, he’d much rather amaze his lucky pupils with cool magic tricks! We read this book as a novel study in school. 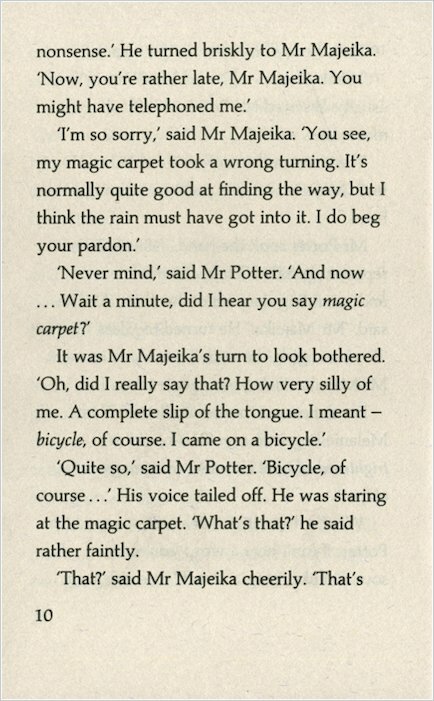 I liked it as it was hilarious because the teacher accidentally cast spells. 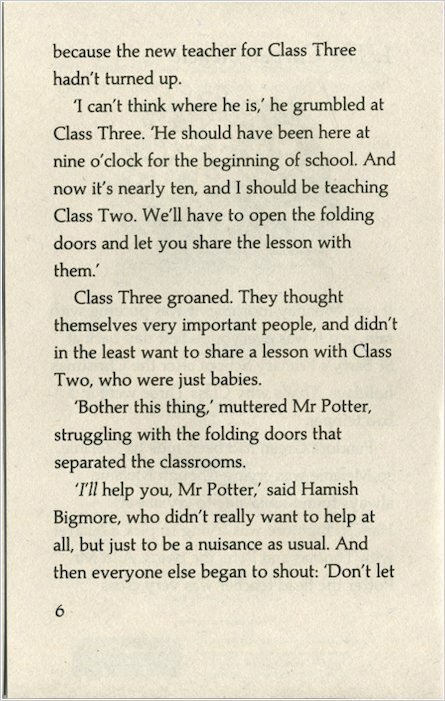 A lot of the spells were cast on a naughty boy called Hamish Bigmore. My favourite part was when he scared the dentist lady away. To find out what happened you must read the book!